Pakistan's former president and army chief Pervez Musharraf will face charges in the 2007 assassination Prime Minister Benazir Bhutto. Musharraf was indicted on charges of murder and conspiracy to murder on Tuesday, according the prosecutor Chaudhry Muhammed Azhar. The decision marks the first time that any chief in the country's most powerful organization has been charged with a crime. 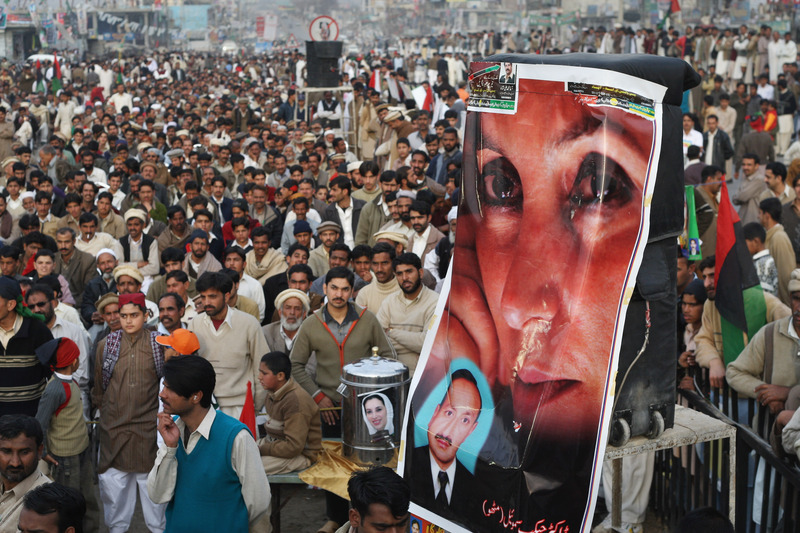 The popular female prime minister was killed in a gun and bomb attack during a rally in Rawalpindi in 2007. Her death led to widespread protests and increased the popularity of the Pakistan's People Party, rocketing her husband, Asif Ali Zardari, to the presidency. Her fame partly stemmed from her opposition to militant rule and support for the nation's poor. Musharraf was previously accused of not providing enough protection for Bhutto, who was killed during his presidency. Reportedly included in the prosecution's evidence is a statement by Bhutto's friend and Washington lobbyist Mark Siegel, who says that Musharraf threatened Bhutto and that the prime minister named the former leader as a prime suspect if she was ever killed. Musharraf has plead not guilty. The former president, who led Pakistan after a 1999 coup and stepped down almost ten years later, returned to the country after four years in exile to take part in the May elections. Upon his return, Musharraf has faced a slew of other legal problems in addition to the accusations regarding Bhutto. Musharraf also faces charges related to the detention of judges and the death of a Baluch nationalist leader. He remains under house arrest in relation with other charges. His trial for the assassination of Bhutto is set to start on August 27.